Want to make somebody laugh or invite them over for dinner? Do it with one of these funny food postcards! 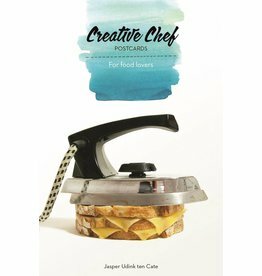 The cards are the Creative Chef’s visuals inspired by his work as an artist, food designer, and chef.